Sealant swells when exposed to temperatures in excess of 125°C, to prevent the passage of fire and smoke. Fire rated for up to 5 hours in certain joint configurations to BS 476 Part 20/EN1366-4 (2006). Acoustic rated to BS EN ISO 140/3. Tested for air permeability to EN13141-1. 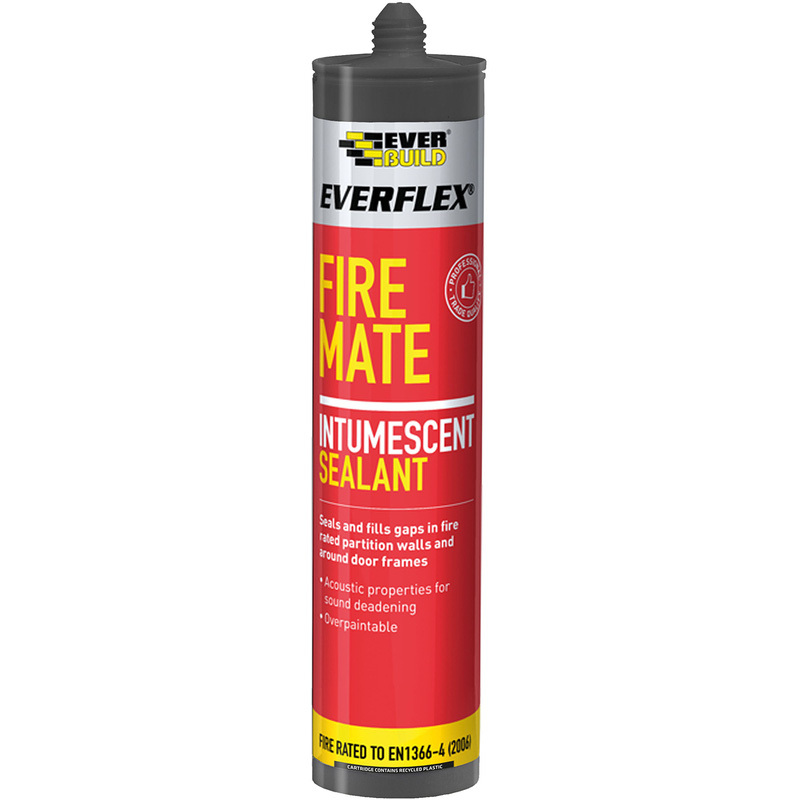 Fire Mate Intumescent Acrylic Sealant 310ml White is rated 5.0 out of 5 by 3. Rated 5 out of 5 by St Ben from Good price This product is easy to use at a good price. Hopefully it's intumescent properties will never be tested in a fire!